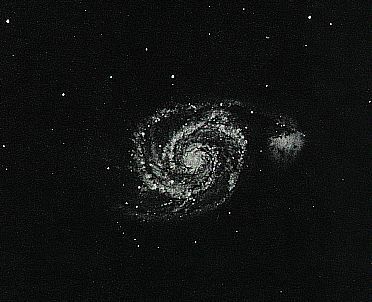 The whirlpool galaxy, M51, is 13 million light years distant and about a 100 thousand light years across. If nothing can travel faster than light, as Einstein maintained, then the balancing influence that keeps this galaxy together would take 100 thousand years to reach from the edge to edge. Some stars in the galaxy could have ended their lives in the meantime!